Christopher Nolan manages to live up to expectations with one of his best films to date. Dunkirk is a war epic that ticks all the boxes and provides a physical and emotional experience like few films this year. 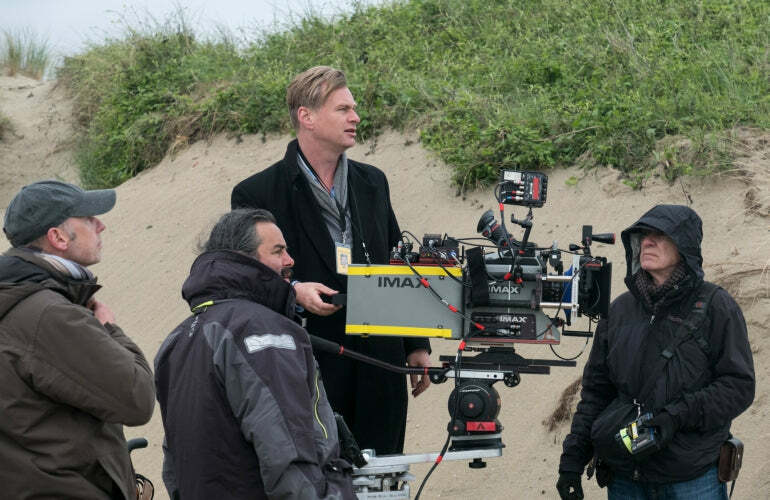 When it comes to large scale movies, there aren't many areas that Christopher Nolan hasn't done. Whether it's to the furthest reaches of space in Interstellar or the deepest recesses of our minds with Inception, he certainly knows how to take the craft of filmmaking to spectacular new heights. 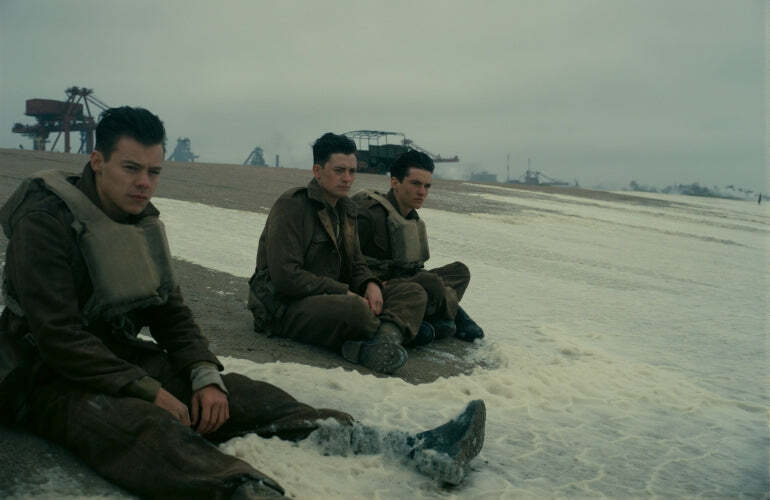 It's no surprise, therefore, to see Nolan finally take on an epic war film like Dunkirk. 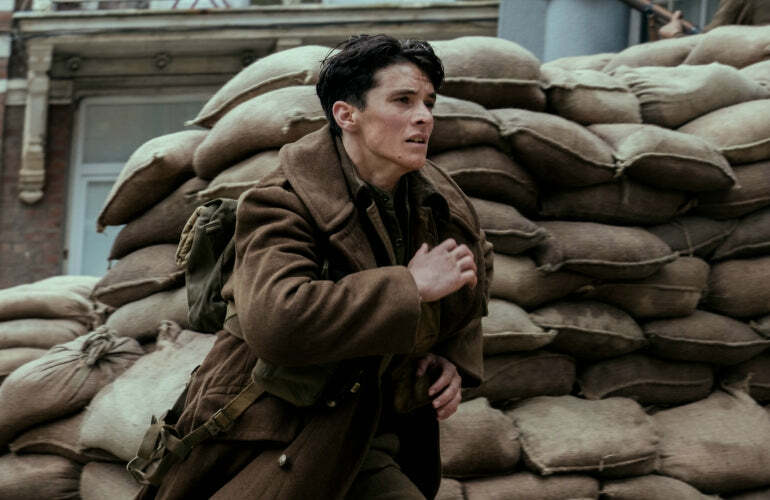 From the word go, Dunkirk manages to achieve what so many films of this type fail to do, immersing the audience in the horrifyingly vast and emotionally personal environment of war. After an opening sequence that ends on the beaches of Dunkirk, with the seemingly infinite rows of soldiers desperately waiting to find a way home, Nolan shows the terrifying scale of the situation in spectacular style. From here the film follows an ensemble of characters fighting for survival on land, sea and air. In doing so, we are allowed to see the many different sides of action and gain a much more intimate experience. This is something which is certainly helped by the combination of IMAX and 65mm film in which the entire movie is shot in. A huge supporter of filming in IMAX, Nolan manages to turn it into a viewing experience that is more than just a trip to the cinema. If it can be helped, this is something that should be watched on the best screen you can find. If you're worried that this will turn it into another emotionless action film, then don't. Whether it's through the claustrophobic scenes spent in a Spitfire cockpit, or the hope inspiring storyline of a civilian rescue boat, Dunkirk's biggest strength is its portrayal of the human spirit and the fight for survival against all the odds. Even though you wouldn't think it, Dunkirk is the first time this director has ever attempted to portray a real life historical event. Although this comes with added pressure, it allows Nolan to reach an emotional level unlike any of his other films. One of the most striking elements of the film is the attention to detail. There is a real sense that the filmmakers have gone the extra mile to try and place the audience in the environment of the film. The cast of main characters that crosses a whole range of age groups is a huge part of this. From the uncannily young soldiers on the beach to the older officers, Nolan is quoted as saying that he wanted to "cast actors who were close to the ages of the characters". Although there was a worry that big names such as Harry Styles, Tom Hardy and Kenneth Branagh would actually take away from the realism, it really isn't the case. In addition to this, by casting relatively new stars such as Fionn Whitehead as one of the main protagonists the film demonstrates the everyman nature of its characters. It is also extremely important to mention the significance of the musical score within Dunkirk. Christopher Nolan has once again teamed up with one of Hollywood's most famous composers, Hans Zimmer. Through a monumental orchestral score, the atmosphere of tension and desperation is taken to new heights. It's no exaggeration saying that the soundtrack is one of the main elements of the experience. Despite the exhilarating spectacle of a war film such as this, the lasting impression is one of hope and human resilience. The fact that it's a true story means that the impact is felt all the more. This is a film that does justice to history and gives you an emotionally thrilling experience in the mean time.